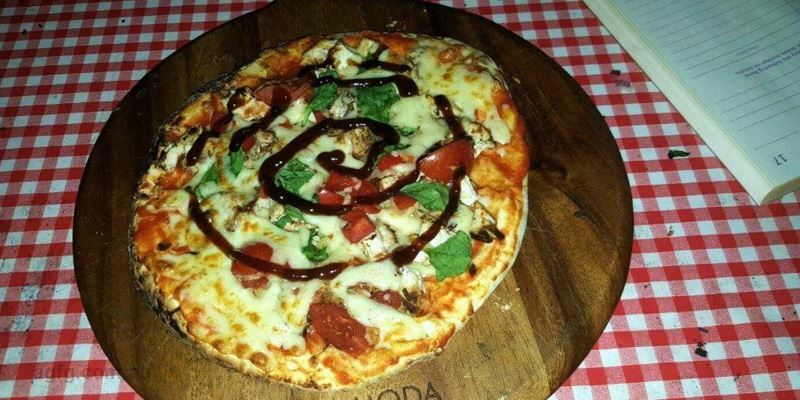 Sir Supreme Pizza: ground beef, pepperoni, mushrooms, lives, capsicum, pesto, smoky barbeque sauce and mozzarella cheese. 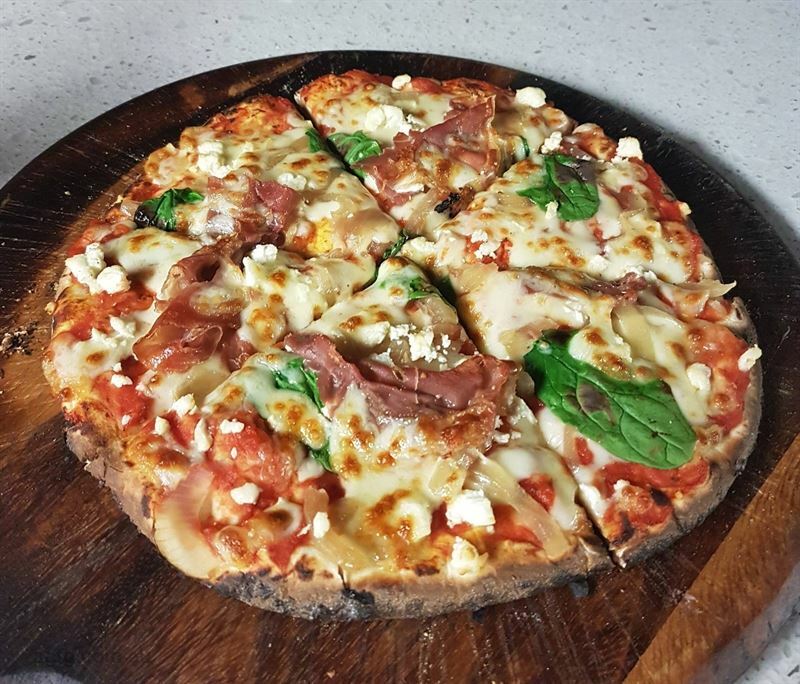 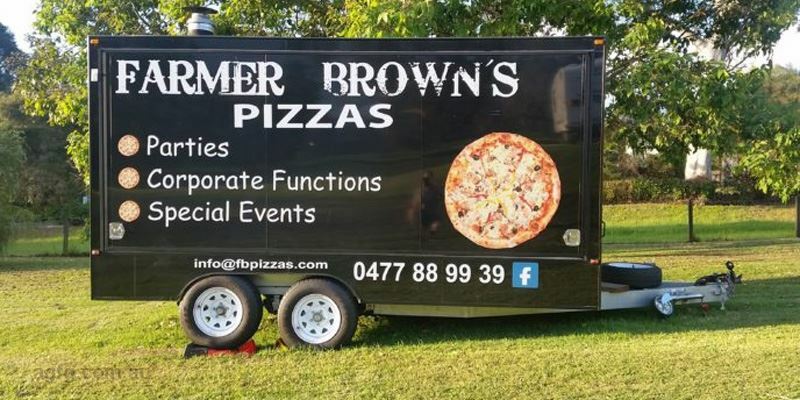 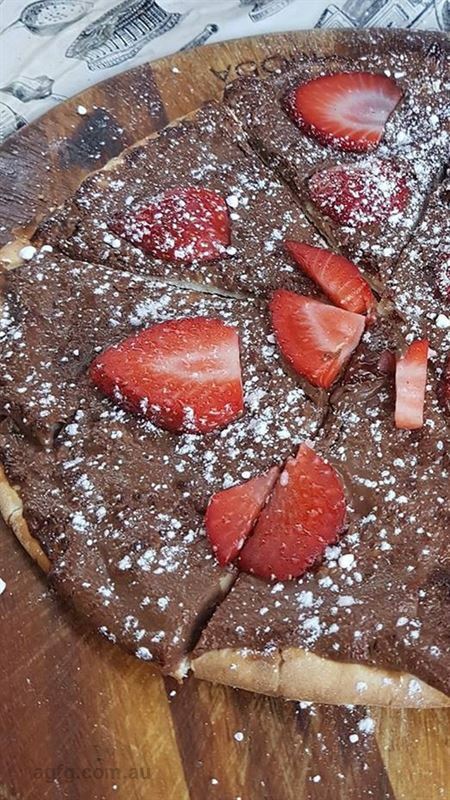 Whether it’s a small intimate gathering, or an elaborate celebration for hundreds, Farmer Brown’s Pizzas food trucks can cater for your next big event in your own Brisbane backyard. 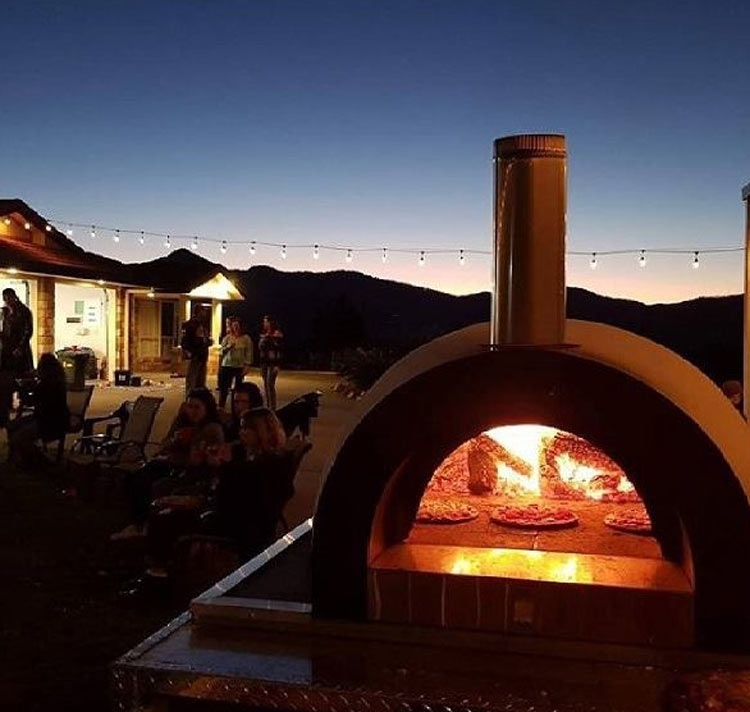 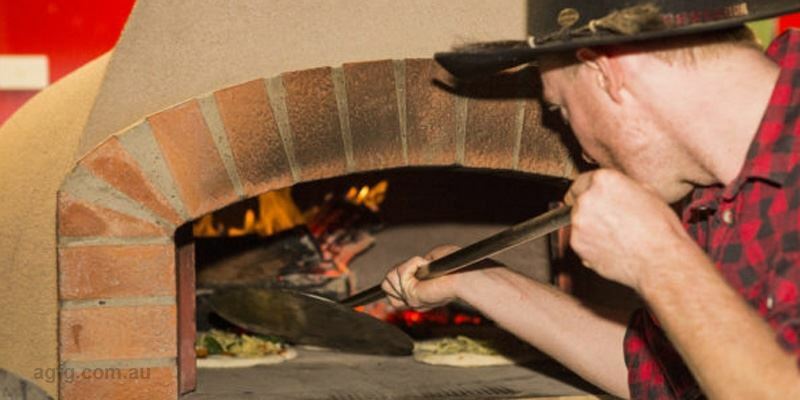 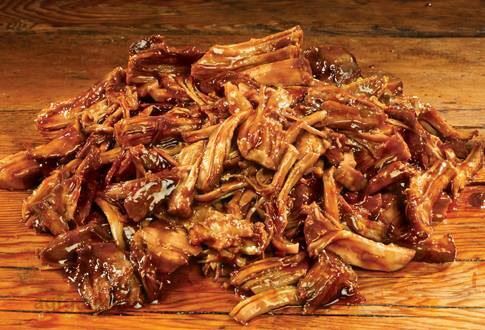 Jumping on board the food truck revolution three years ago, Farmer Brown now has four mobile wood-fired ovens on the road catering to any function or occasion, from their completely self-sufficient setups. 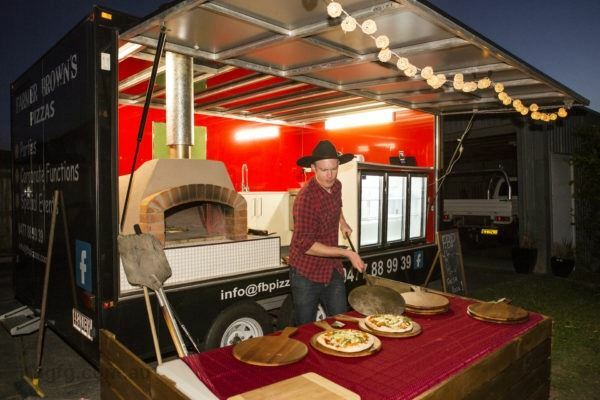 Home grown herbs and vegetables are a staple for this caterer, along with creative toppings such as Texas Pig – slow cooked pulled pork, shaved ham, Spanish onion and mozzarella – or say hello to a classic margherita and chow down on a slice of combination cheese, Parmesan, fresh tomatoes and basil. 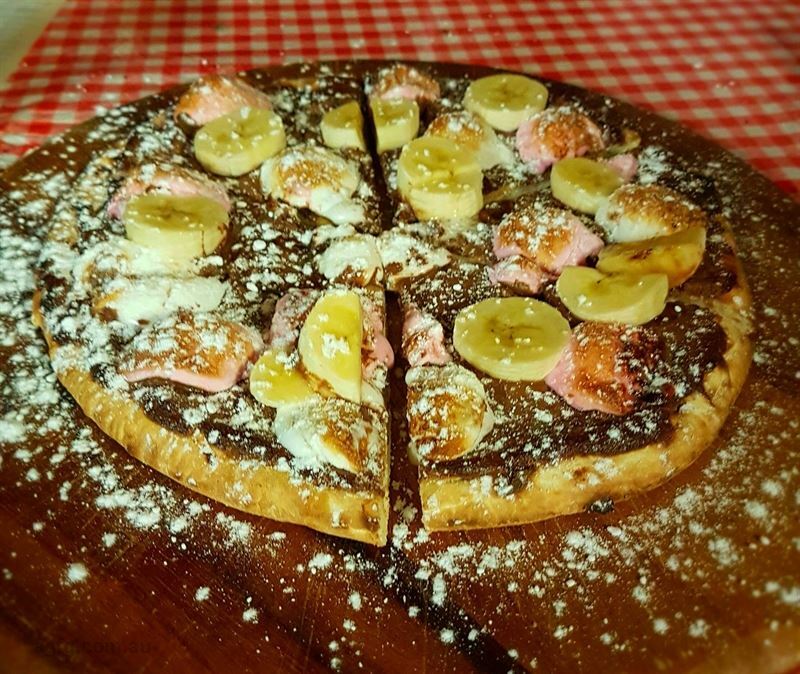 Dessert lovers will drool over decadent Nutella and marshmallow or banana concoctions, dusted in icing sugar. 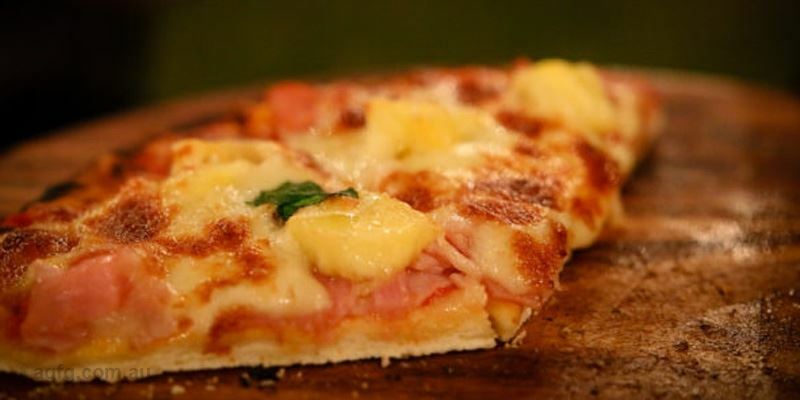 Isn’t there enough stress on one of the happiest days of your life? 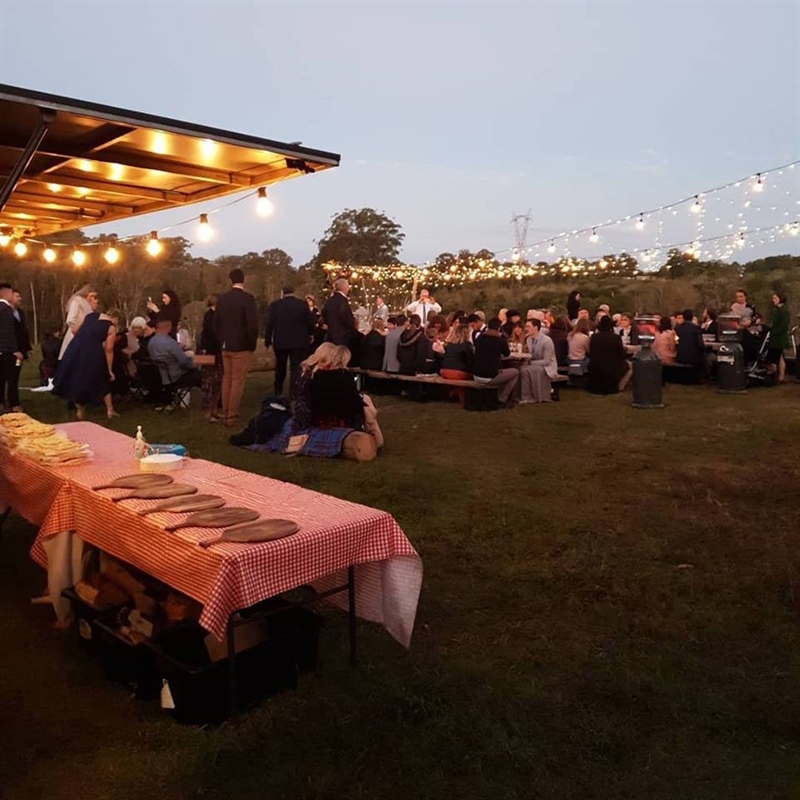 Whether you want a relaxed festive celebration, or a purely elegant affair, we have the expertise of doing it all for you. 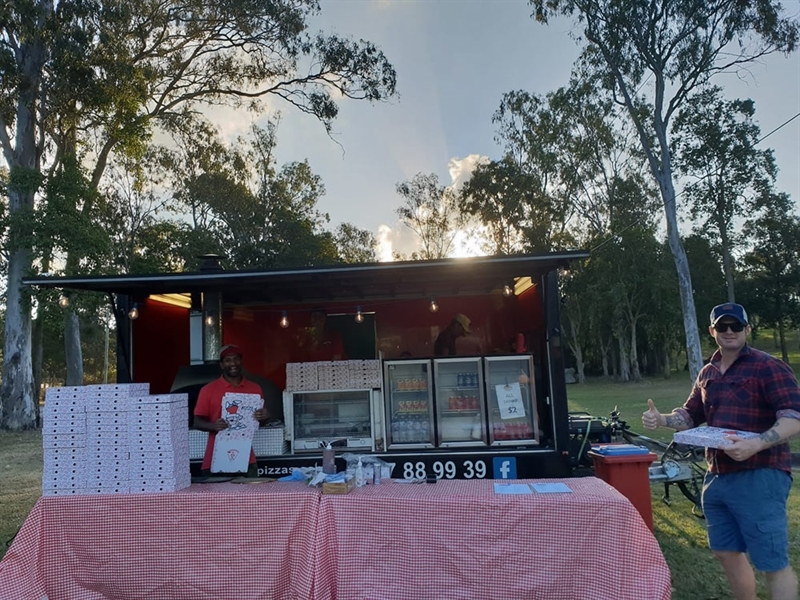 Call 0477 889 939 now for more information and a stress-free wedding catering experience.